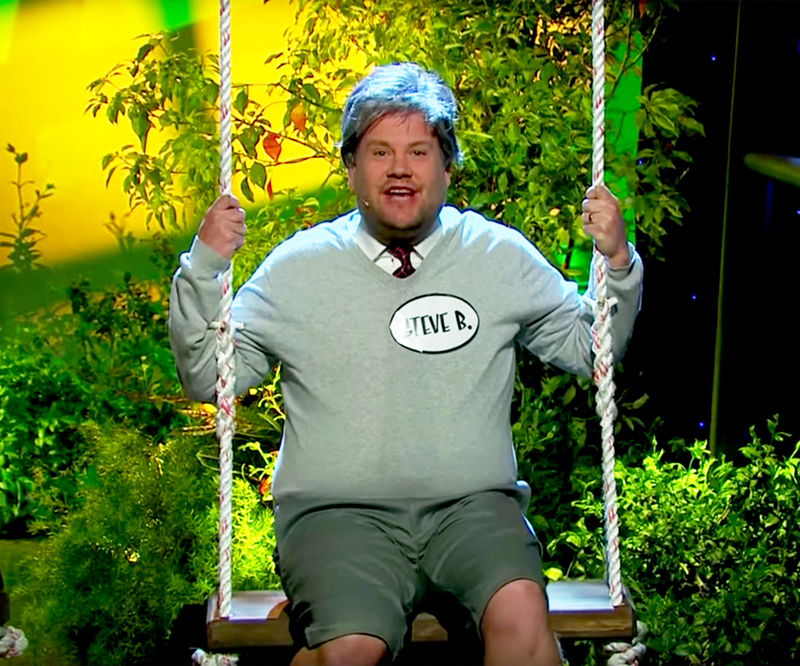 James Corden put a political spin on the song “When I Grow Up” from the stage adaptation of Roald Dahl’s children’s book Matilda, turning it into Donald: The Musical. Watch the performance in the clip above. 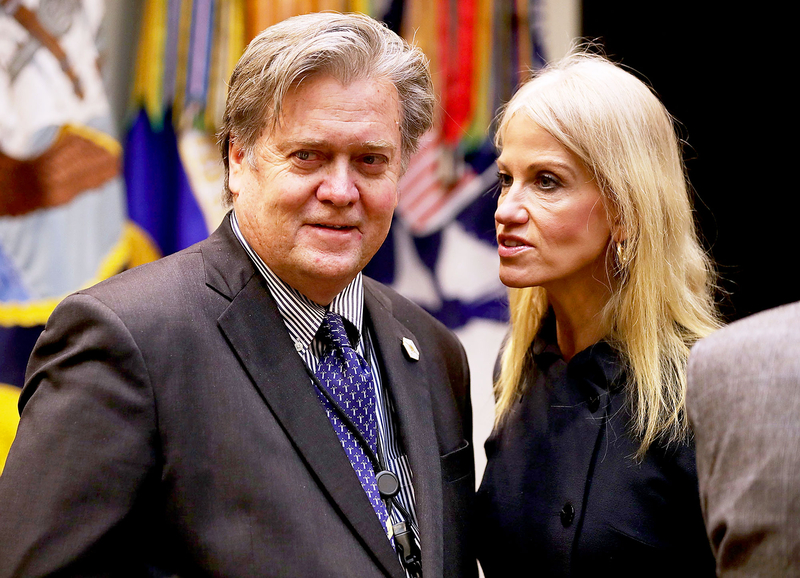 During The Late Late Show on Monday, March 20, Corden starred as White House chief strategist Steve Bannon alongside Matilda composer Tim Minchin as President Donald Trump, Broadway star Ben Platt as Press Secretary Sean Spicer and actress Abigail Spencer as senior adviser Kellyanne Conway. 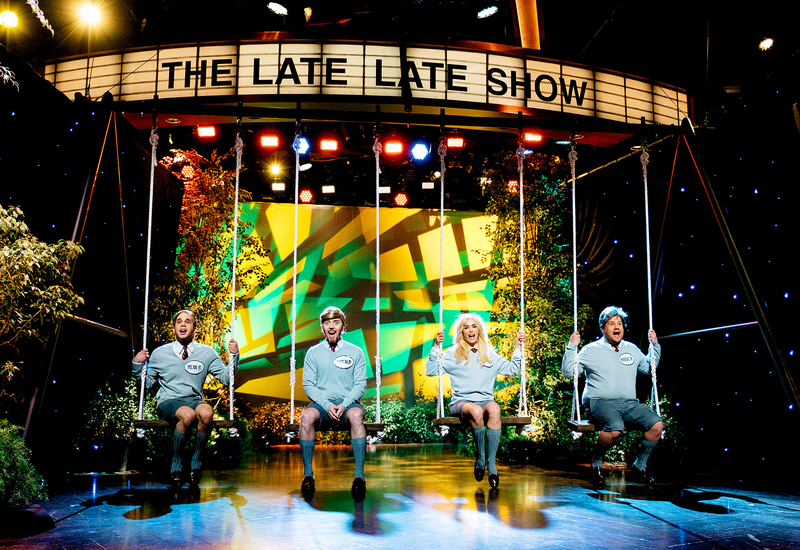 The group swayed back and forth on swings while imagining what Trump and his White House officials must have dreamed about as children. “When I grow up, I will be president and build big walls, ban Muslims, play with Putin’s balls, grab p—–s of the lady grown-ups,” Minchin sang. Platt joked about Spicer’s false claims that Trump’s inauguration was the largest ever. “When I grow up, I’ll be press secretary of this land and lie about sizes of crowds and hands. Ignore climate change until earth is blown up,” he crooned. Spencer impersonated Conway, who has repeatedly defended Trump’s Twitter rants. “And I will wake up to see tweets he wrote at 4 a.m. that I will have to defend, but I won’t care because I’ll be all grown up,” she sang.